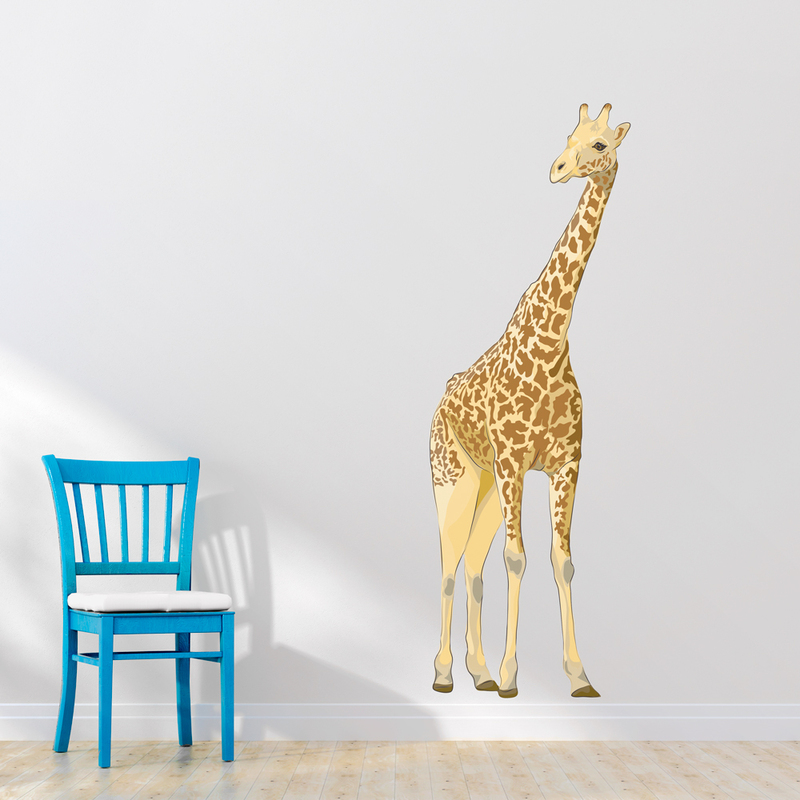 Giant Giraffe Printed Wall Decal Drawn by Diesel & Juice Illustrations. Please note: Colors may vary slightly from the image above. This gentle giant's legs are longer than most humans are tall, averaging about 6 ft! Their black tongues help them reach for leaves on tree tops, or for the occasional spider webs near your ceiling in this case! Able to run up to 35 miles an hour and 10 miles at a comfortable trot, this giraffe would love to roam your room's walls! This large giraffe wall decal would be perfect for a zoo or safari themed room or party. Unlike our solid standard vinyl decals, Wallums printed wall decals are made from ultra premium finely woven fabric that is repositionable, and re-usable. Perfect for renters, apartment, dorm rooms, classrooms and holidays. Our printed wall decals can last for years but are easily removable when you move or decide to change it up. Shop this large giraffe wall decal and other designs from Diesel & Juice today.